A prosperous city of culture and education, built around the River Avon, Bristol is known its history, beauty, and film industries. Combining a rich heritage with a thriving arts and music scene, there is plenty to see and do in and around the city, coastline and Severn estuary. In the city itself, there are stunning buildings such as the incredible St Mary Redcliffe Church, one of the country's finest examples of Gothic architecture, multiple museums, ambitious street art projects with Banksy and the Nelson Street art project, as well as lush parks Georgian squares, and iconic landmarks such as the Clifton Suspension Bridge and Coopers hall, the oldest continuously running theatre in England. On the outskirts, there are even more historic treasures, natural wonders and bustling market towns to explore. 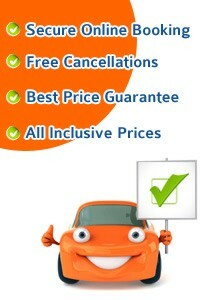 Take this opportunity to get the best car rental deals in Bristol... CHEAPER. Bristol International Airport is located 13 km south of Bristol City Centre in Somerset, The A38 connect the airport and Bristol city. Traffic can be heavy so please allow plenty of time in case of delays. Once you enter Bristol and revel in the city’s culture, you will come to agree why it is widely regarded as the best city in the United Kingdom. The city reflects independent spirit as evident from Gloucester Road. The street has most independent shops than any other shopping street in the country. In spite of being surrounded by a hilly terrain, Bristol is credited as the UK’s first Cycling City. The first bits of United Kingdom’s National Cycle Network began from this city. However, if you are a tourist or a newcomer, it is easier to commute across the city in a car. 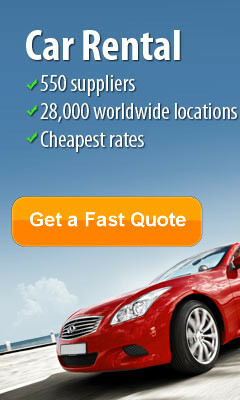 Pick up a hire car of your choice a Bristol airport or in Bristol city center. Water plays an integral part in the lives of Bristolians. There are ferries, bars on boats and bridges that swing across to let tall ships sail. You cannot miss the sight of greenery in the city. 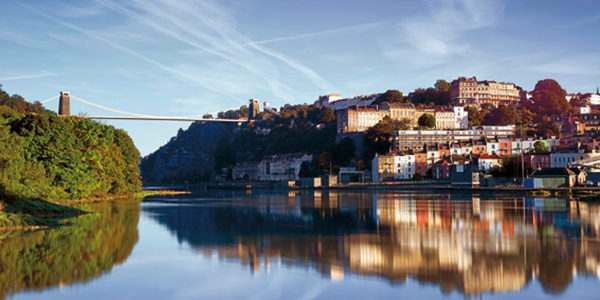 Bristol has recently been credited as the European Green Capital 2015. 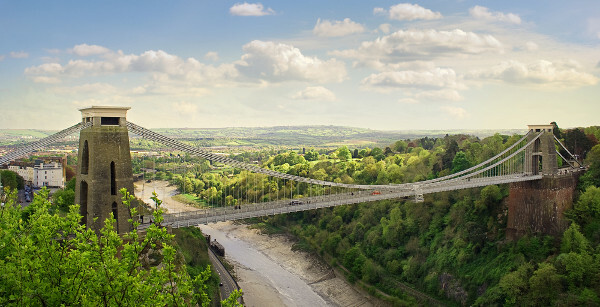 Clifton Suspension Bridge in Bristol is a popular landmark. High over the Avon River, at 75meters, it is a beautiful bridge that becomes more beautiful during the night when it’s all lit up. The bridge crosses the Avon connecting Clifton in Bristol to Leigh Woods in North Somerset. The city-centre docks have recently been rechristened as centres of culture and heritage. The city offers a variety of artistic, sporting organisations and venues. The Bristol City Museum and Art Gallery presents a collection of natural history, archaeology and art. If you happen to be in Bristol during August, make sure to be a part of The Balloon Fiesta. It is the regarded as the largest congregation in the entire Europe with the sky being filled with all kinds of balloons. 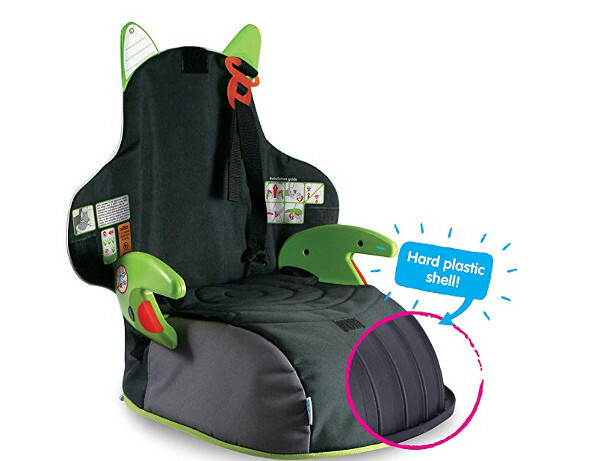 There are loads of stalls for all ages and many of the major companies in the area. One of the busiest centres in Bristol, Park Street offers an array for boutiques, music stores, dining places and art galleries. That’s not all. Set in a beautiful Georgian setting, admire the architectural marvel of the Park Street. Within a short walking distance from the Park Street is Cabot tower, a perfect place to leisure. The tower is 32 metres tall. Once you enter the tower, you will climb a small spiral stairway leading to the picturesque view of Bristol and its harbour. 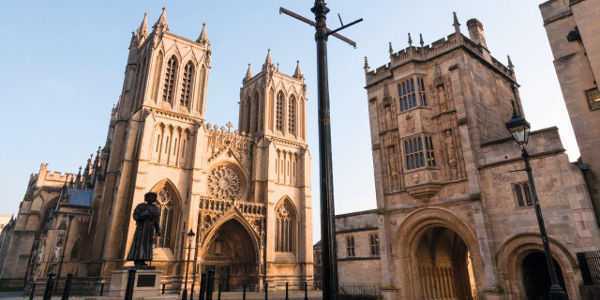 Apart from its rich history and seafaring links, Bristol also boasts of its churches and places to worship. St. Mary Redcliffe Church, Bristol Cathedral, St John the Baptist’s Church are few of the places that have made Bristol a place of religious importance. Bristol roads are well connected to the United Kingdom’s capital London and other major cities. The M5 and M4 motorways intersect near Bristol. If you take the M4 motorway makes driving time to London jsut a little over two hours if the traffic is kind to you. The city also offers 3 Park and Ride facilities: Long Ashton, A4 Bath Road sites and A4 Portway. A prosperous city of culture and education, Bristol is built around the River Avon and known for its history, beauty, music and film industries, as well as its friendly welcome. Combining rich heritage with thriving arts scenes, bustling cityscapes and rugged coastline leading to the Severn estuary, Bristol is a magical city with plenty to do day or night, whatever your interests. One of your first stops should be a sightseeing bus, to help you familiarise yourself with the city’s layout and see some of the top sights. Make sure you visit the university buildings, including the Wills Memorial Building on Park Street and the Victoria Rooms, as well as the stunning St Mary Redcliffe Church – a fine example of gothic architecture. To see the city from the water, head onboard the replica of John Cabot's 1497 ship - open for visits and cruises around the harbour – or else the public ferry boats. For those of you seeking culture and history, head to the Bristol City Museum and Art Gallery for varied and plentiful collections, or the Bristol Industrial Museum for a glance at bygone days. If you like historic houses, try the Georgian House, the Tudor Red Lodge and Blaise Castle – all beautifully preserved and well worth a visit. For modern art, check out the Watershed Media Centre and the acclaimed Arnolfini Gallery, or for literary trails, follow in the footsteps of Samuel Taylor Coleridge. There’s thousands of Grade I and Grade II listed buildings dotted over the city; meandering through the streets will give you a feel for the city’s heritage. And for something different, look out for the Banksy street art and the ambitious Nelson Street art project. Animation lovers - don’t forget to keep an eye out for Gromit Unleashed - a public art exhibition in the city centre. If you’d like a stroll in greenery, try Brandon Hill Park where you’ll also see spectacular views of Cabot Tower, or Queen Square, a stunning Georgian park in the heart of the city. Take a walk over the iconic Clifton Suspension Bridge, and join one of the many walking tours – including a pirate trail – designed to enchant you with information about the city’s colourful past. For night owls, entertainment is as diverse as burlesque nights, chic bars and clubs, top of the range restaurants and a lively theatre, music and arts programme. Try the Bristol Academy, Coopers hall (the oldest continuously running theatre in England), The Bristol Hippodrome, the Tobacco Factory and the Old Duke for starters. is simply : Collect your hire car at Bristol airport and head to the nearby counties of Gloucester or Somerset to see some spectacular countryside scenery and contrasting culture. In Gloucester, take in the excellent examples of preserved Tudor buildings, some still functioning as pubs and restaurants, visit the priory ruins or explore the docks. Somerset is home to Glastonbury Tor, Cheddar Gorge and Kilve Beach, as well as many more protected areas of natural beauty. There are also multiple historic treasures, natural wonders and bustling market towns to explore..
Meadow Cottage Guest House, No credit card needed: this hotel doesn't require a credit card for you to make a reservation, Lye Hole Lane, BS40 5RN Redhill With a peaceful location, only minutes from Bristol International Airport, this 17th-century farmhouse has beautiful period features, beamed ceilings, and long-stay parking. All of the luxurious rooms at Meadow Cottage feature idyllic countryside views, bathrobes, and flat-screen TVs. Guests can also enjoy free luxury toiletries, fresh milk, and bottled water. The bathrooms and the sound insulation have recently been improved. The Meadow Cottage Guest House is set in an acre of beautiful south-facing gardens and despite being just 1.5 miles south of the airport, it is completely free of airport or road noise. 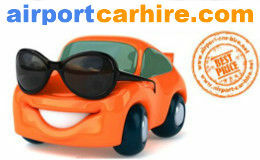 Guests can leave their cars at the hotel whilst on holiday, and an airport shuttle is available by prior arrangement. Winford Manor, Old Hill, Winford, BS40 8DW Winford Set in 7 acres of beautiful grounds, this 17th-century manor house has free Wi-Fi and elegant rooms. Bristol International Airport is just 5 minutes’ away. The Labyrinth restaurant at Winford serves a superb traditional menu. Set in the beautiful Chew Valley, the hotel is just a 30-minute drive from the historic cities of Bristol and Bath. There are spectacular countryside views. Conference and event facilities are available at Winford Manor. There is free secure parking. Ramada Bristol City Redcliffe Way, Clifton East, BS1 6NJ Bristol Just 5 minutes' walk from Temple Meads Rail Station, this 4-star hotel offers modern en suite rooms with flat-screen satellite TVs. It also has a restaurant and health club. The restaurant at the Ramada Bristol is inside the remains of a 17th-century glass-blowing kiln. The lounge also offers a range of hot and cold food and room service is available 24 hours a day. Free Wi-Fi and Sky Sports TV channels are available in the public areas and bars and an airport bus stop is located outside the hotel. The Ramada Bristol City is close to the centre of Bristol. Brunel’s SS Great Britain is a 25-minute walk away while both Cabot Circus and the Waterside shopping areas are within 15 minutes’ walk. Brook Redwood Hotel & Country Club, Beggar Bush Lane, Failand, BS8 3TG Bristol On the edge of Bristol, Brook Redwood Hotel and Country Club features a 130-seat cinema, 3 swimming pools and ample free parking. The rooms have flat-screen TVs and free Wi-Fi. Brook Redwood Hotel has 1 indoor pool and 2 outdoor pools. There is also a sauna and steam room, along with 5 tennis courts and 7 squash courts. In 16 acres of woodland and countryside, Redwood has many original features and dates back to 1890. The historic Summer House restaurant offers modern dining, whilst the Country Club Brassiere has an informal atmosphere. As part of the hotel grounds, the hotel has access to the Ashton Court Estate with popular trails and walks. Brook Hotel Redwood is ideal for the Bristol Balloon Fiesta, Kite Festival and Cheltenham Races. The Bristol Hotel Prince Street, Clifton East, BS1 4QF Bristol On the quayside of the Floating Harbour, The Bristol Hotel is 10 minutes' walk from Brunel's SS Great Britain. It has stylish rooms, free internet and a riverside restaurant. The light and airy rooms feature modern furniture and many have views across the harbour. They feature a flat-screen TV and beds have duck down duvets and crisp white linen. Bathrooms include power shower and designer toiletries. With huge floor-to-ceiling windows offering stunning river views, the River Grille restaurant serves modern English cuisine including fresh local fish, Somerset beef and West Country cheeses. Queens Square and the Arnolfini Gallery are both just 200 metres away. Castle Park and The Galleries shopping centre are 10 minutes’ walk. Mercure Brigstow Bristol, Welsh Back, Clifton East, BS1 4SP Bristol Centrally located on Bristol’s bustling Waterside, The Mercure Brigstow Bristol offers modern rooms, a glamorous bar and restaurant and wonderful views of the River Avon. Each spacious room features a work desk, high-speed internet access and a flat-screen satellite TV. All rooms have a private bathroom with heated mirrors, and some have river views. The stylish Ellipse Restaurant serves fresh, creative dishes in light and airy surroundings with riverside views. The Ellipse Bar offers classic cocktails and fine wines, and 24-hour room service is also available. The Mercure Brigstow boasts a central, riverside location on Welsh Back, just 400 metres from Temple Meads Railway Station. Bristol International Airport is just 10 miles away, and Cabot Circus is within walking distance. - Tommy Tierney / London.